details about Latest UPSC Exams 2019-2020 and Upcoming UPSC Exams 2019-2020. Check our post UPSC Exam Calendar 2019 for aware about upcoming exams. Union Public Service Commission, UPSC is the statutory body of Government of India which is a governmental recruitment agency responsible to fill the vacant posts in the government services by conducting the exam and arranging interviews. It conducts the competitive exam every year. Union Public Service Commission is responsible to conduct the several examinations which include Engineering Services Examination, Civil Services Examination, Combined Defence Services Examination, Naval Academy Examination, National Defence Academy Examination, Combined Medical Services Examination, Indian Economic Service/Indian Statistical Service Examination, Geologists’ Examination, and Central Armed Police Forces (Assistant Commandant) Examination. UPSC is responsible for hire candidate for Central Government Department, Defense services and various higher posts. So In this process UPSC conduct written examination, skill test, medical, physical and interview to select candidates. Candidate can appear in UPSC examinations from all over india. 24. S.O./STENO (GD-B/GD-I) LTD. DEPTTL. 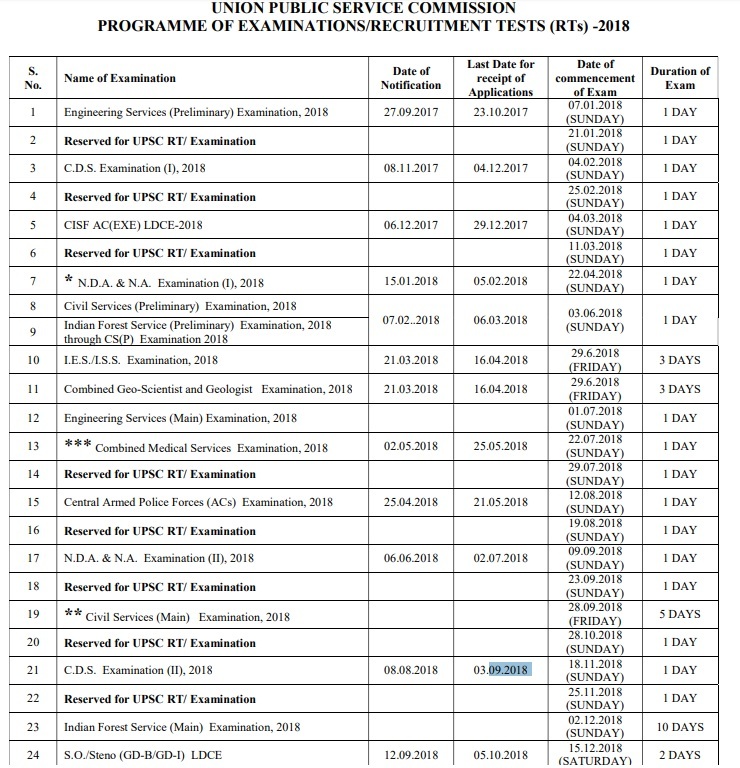 If you are interested to apply for UPSC Jobs 2019-2020, Central Government Jobs 2019, Defense Jobs then you must check our update for UPSC Exam Calendar 2019. You can connect with by comment box or by using social network like Facebook, google plus. i just complet my mcom(abst). now i want to go in ssc,ibps,or bank (po,ldc). please let me know all vacncy.